I love that there are sightings of both UFOs and Bigfoot [and Men in Black] at the same time. And I love that both groups don’t want to talk about that connection. It’s actually quite funny to think about. Two absurd phenomena coming together to make the whole thing absolutely unbelievable. Like the old Reese’s peanut butter cup commercial…You got your Bigfoot in my UFO story. 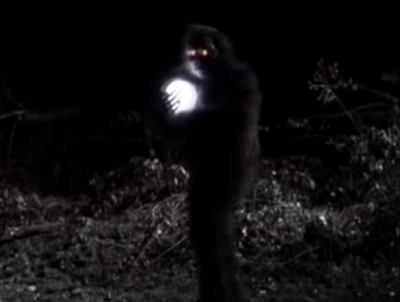 You got your UFO in my Bigfoot Story!